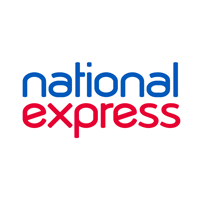 National Express Group PLC (LON:NEX) today reported its Trading Update for the period from 1 July 2018 to 30 September 2018. · Group margin is also up year-on-year. · Moody’s has recently upgraded our investment rating to Baa2. · Strong trading performances in both our bus and coach businesses have delivered accelerating divisional revenue growth of 5.3%. o Core coach took over £5 million in revenue for every week in August, for the first time ever; August bank holiday Monday’s revenue was up 13% alone. · We acquired Stewarts in mid-September, a high-quality coach business. This acquisition: expands our B2B operations amongst blue chip companies in the fast-growing M4 corridor; provides further opportunities in the in-bound tourist market, to complement our Clarkes of London services; and, provides synergy benefits with existing coach operations. o Commercial revenue per mile increased by 4.1%. · M-tickets continue to grow strongly, with further evidence they are driving extra journeys on our services. We remain on-track for our projection of 70% of revenue through digital methods by the year end. o Organic revenue growth was positive at 4.1% in Spain and 2.9% in Morocco. · Passenger numbers for the division grew by 5.7%. · All segments grew revenue and passengers. Long haul returned to growth with revenue and passengers up 3.7% and 2.2%, respectively. o We secured contracts for two small urban bus services in Geneva, to add to and complement our existing presence. · Our urban minicab services continue to perform strongly, providing a platform for both multi-modal integration and growth. · Revenue increased by 6.9% in constant currency. 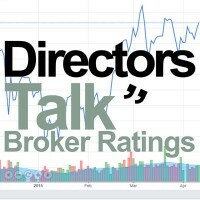 · The business was well controlled over the traditionally quieter summer period, with the recent improved pricing starting to be felt in the fourth quarter. · A good return to school performance saw us secure organically an additional 167 routes in September. o Working with our Ecolane scheduling software business, the Transit division has also won a small on-demand contract to provide ride-sharing services in Stockton, California. This complements our existing services in the area and we hope will provide a proof of concept for other transit authorities across the country.